The all-new 2019 BMW X7 was designed from the ground up by legendary BMW German engineers. It is designed to be the biggest and boldest SUV ever from this iconic automotive dynasty. This behemoth vehicle seats up to seven-passenger and commands respect at every turn. The well-defined exterior cuts an impressive appearance as it careens down the open highway. The luxurious cabin has been outfitted with all the latest in technology, comfort and safety amenities. Sterling BMW is the highest-rated BMW center in OC on major review sites for good reason. We offer the most competitive 2019 BMW X7 leases in Orange County, CA and near Costa Mesa, CA. Our professional staff is on hand seven days a week, ready to explain all our 2019 BMW X7 lease specials near Irvine, CA and in Newport Beach, CA. We encourage you to drop by the best-rated BMW dealer in OC and lease a 2019 BMW X7. 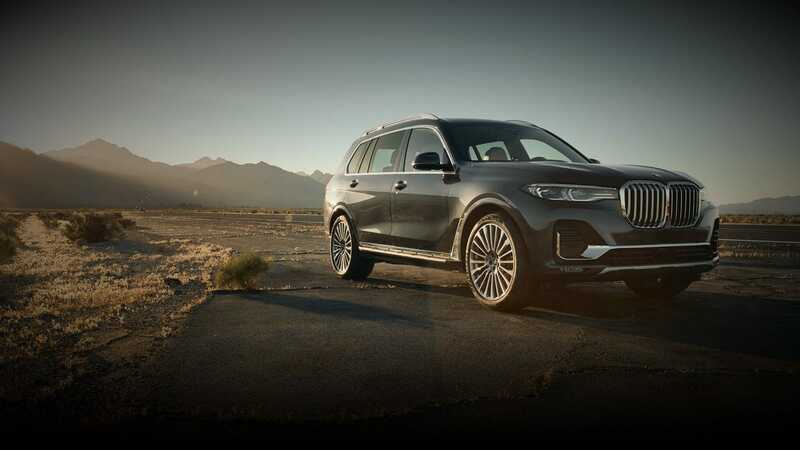 Before you decide on a 2019 BMW X7 lease in Newport Beach, CA, allow us to expound on the many high-end features that are included on this full-size SUV. This starts front and center with a massive 12.3-inch touch screen display. This iDrive system interfaces with your 10-speaker Harmon Kardon® stereo system, along with navigation with real time traffic information. Everyone on board will enjoy a comfortable, temperature-controlled ride, thanks to the inclusion of four-zone automatic climate control. Enjoy the view out of the panoramic moon roof or the available panoramic sky lounge LED roof. As is the case with all BMW vehicles, advanced safety technology is taken very seriously. 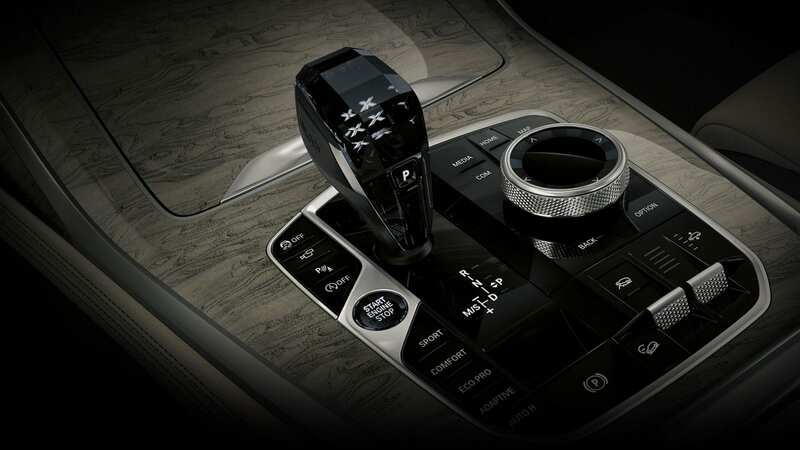 The 2019 BMW X7 comes complete with a rearview camera, forward collision mitigation and blind-spot monitoring, just to name a few standard safety features. The knowledgeable sales team here at Sterling BMW is excited to show off the two exceptional engine options available on the all-new 2019 BMW X7. 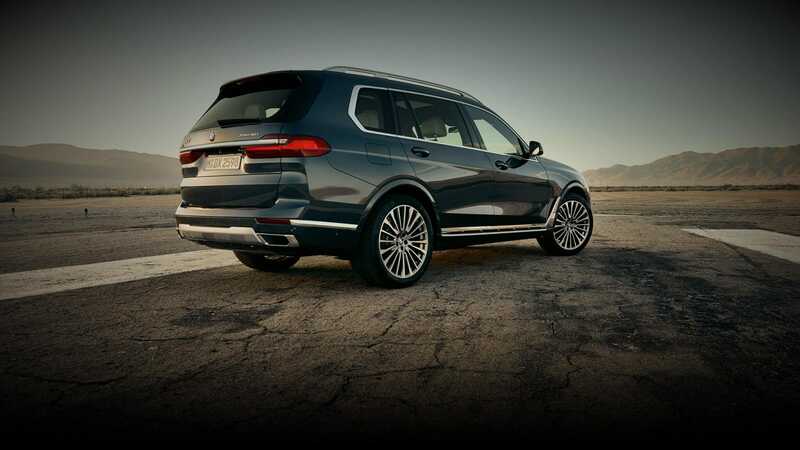 An extraordinary SUV such as the X7 deserves to be powered by equally exceptional engines. The first choice is a powerful 3.0 liter inline six-cylinder engine that tops out at 335 horsepower and 330 lb.-ft. of torque. Kicking things up a notch is the rambunctious 4.4-liter V8 engine, which cranks out up to 456 horsepower and 479 lb.-ft. of torque to provide up to 7,500 lbs. of towing capacity. Both powerhouse engines pair with an eight-speed automatic transmission and the superior handling provided by all-wheel drive. Today is the day to come by and drive home in an all-new 2019 BMW X7 in Newport Beach, CA.